As things stood last week, Louisiana’s SB539 was going to be heard in committee last week. However, it’s been pushed back in the agenda for a couple of weeks. This has been a great opportunity to discuss suicide as a public health concern, and use media to share a message about training and intervention. THANKS for all of the on-going support! This week on #SPSM chat, we’ll be joined by Dr. Mike Sevilla, a pioneer in health care and social media, discussing his insights on heath care social media engagement. Some of you may have heard of his alter ego, Dr. Anonymous, and early health care social media presence. Dr. Sevilla is also known as the “King of Family Medicine and Social Media” for his contributions to the use of social media in his field. And he’s agreed to be our guest expert on #SPSM, Sunday 3/23/14 at 9pm CST. Our chat often engages people with a broad range of social media experiences. What has been interesting, behind the scenes, is the amount of reported lurking by people who are relatively new to health care social media (HCSM), and who wonder about how it all works. Our curations are also regularly viewed by experts in Suicidology. Dr. Sevilla will be giving our field the benefit of his HCSM expertise, as we get ready for our annual conference. 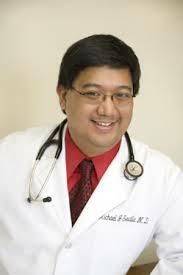 Mike Sevilla, MD is a Family Physician in full-time private practice in Salem, Ohio. Dr. Sevilla is a national speaker on social media topics, and holds an appointment of Assistant Professor of Family and Community Medicine atthe Northeast Ohio Medical University. Looking forward to the #SPSM chat!